We used to have a games shop here long ago, very breifly. We used to joke about the GW figures being so expensive because they were made out of pressed cocaine, judging by the look of the owner. I am a Velociraptor; hear me ROAR!!! When they get home, the heavy weapon tractors will be added. 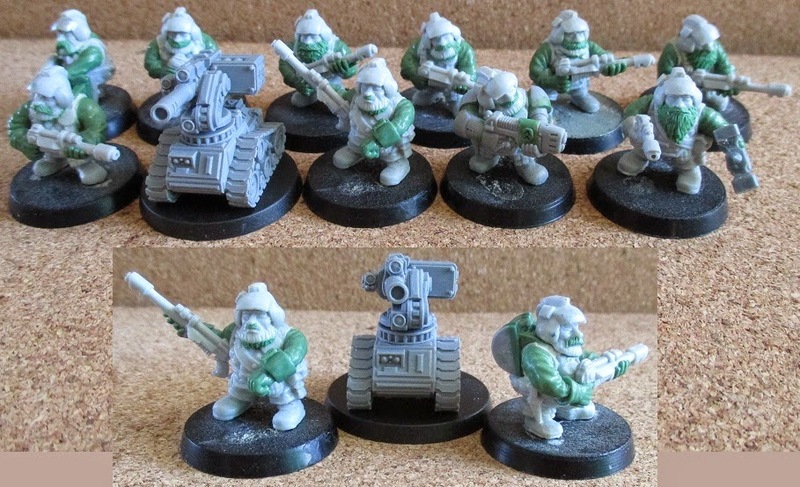 I will also add packs to the loaders and some sort of comms equipment to one member from each unit (command and each infantry squad). 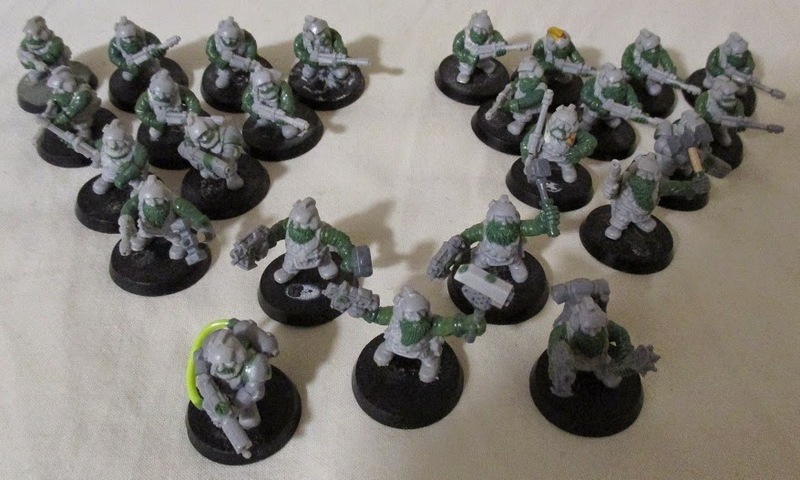 Then they will get some paint before I crack on with the next platoon. The light at the end of the tunnel is just someone with a torch, locking the gate. Visit my blog at: http://insosworld.blogspot.com/ It could save your life! Nice, tears of nostalgia are running down my cheeks! I should never have sold my Squatties! I know what you mean... at least you sold yours... I just threw mine away (apart from about 7 which I swapped for Grymn with Kev). I have enough for a second squad similar to this plus two champions/leaders/commanders but I think I will move onto some basic troops again for now (either that or the Sentinels). Cool. 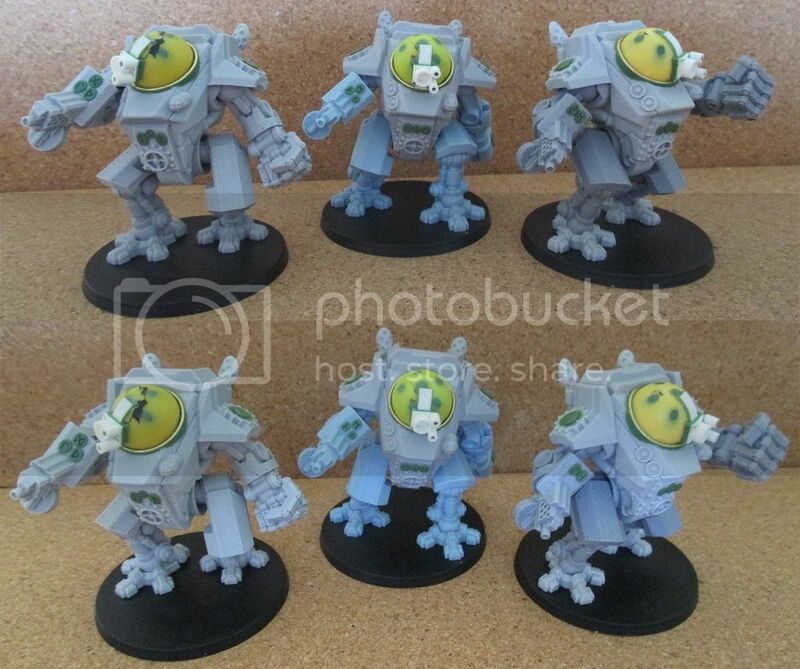 Are these Mantic forgefathers? That's quite a meaty fist. What are the plans for this one? Enclosed cockpit? Yep. Not too much more than that... maybe a few small decorations but I quite like it as it is (apart from the exposed head). Yeah. Not very practical (armour-wise) that way. 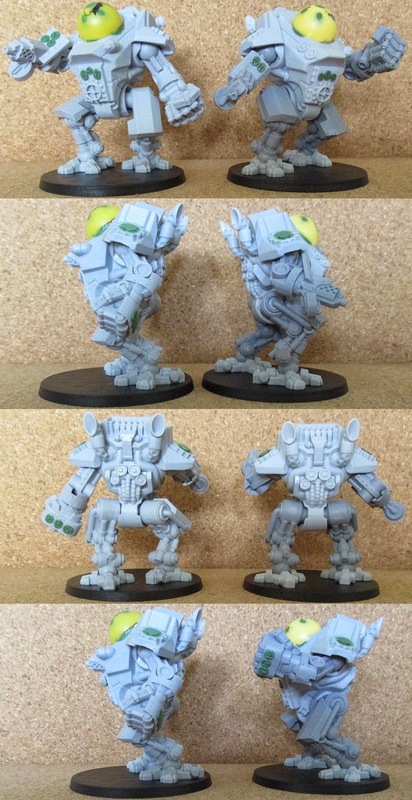 I have also ordered a third so that when it arrives, I can get it upto the same standard as these two. Once I've done that, I'll be finishing all three heads together so that I can get them all similar. 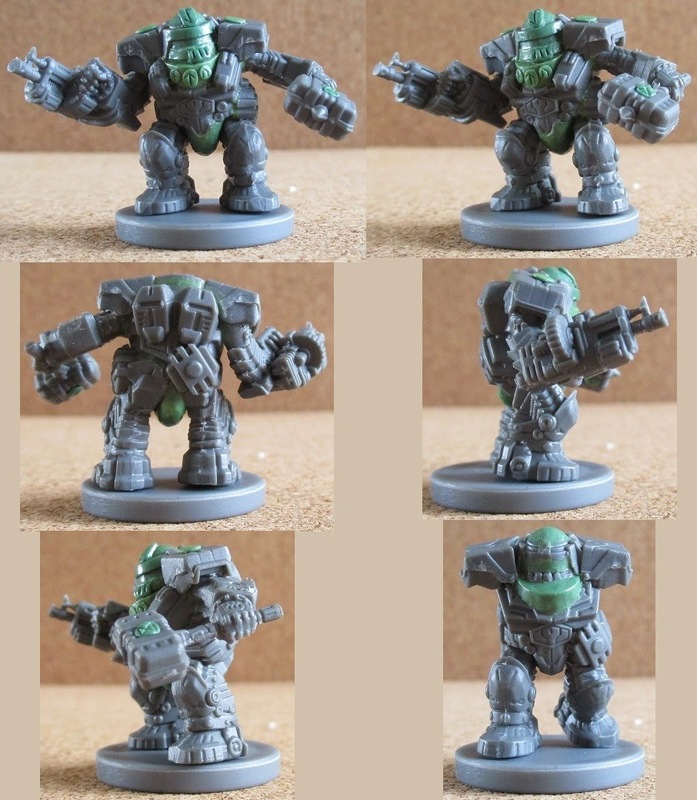 I have also been working on the troop squad but am putting together a little guide with them so I won't be posting any pics. Needless to say, they all have neckerchiefs, beards with moustaches and wire pinned into their shoulder sockets, ready for the next stage. I will be converting the weapons next, ready to pin to the bodies so that the 'wire arms' can be bent to shape ready for the putty to be added. With all that in mind... my thoughts turn to what's next. Those are really cool. Changes the look entirely but really works well. 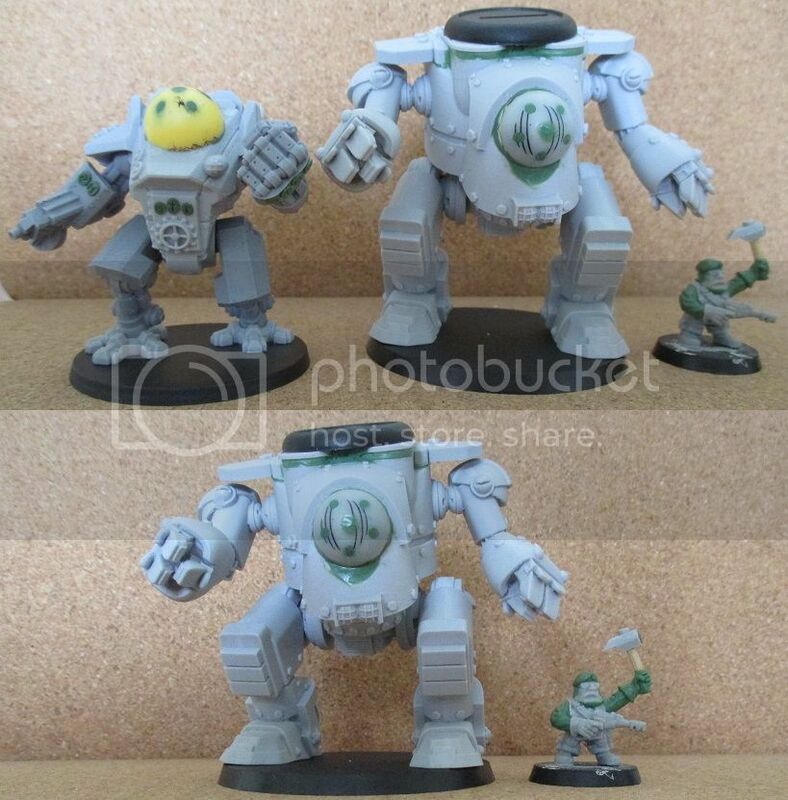 Have you seen the robots for the dakka dakka kickstarter? Glad you got rid of that central gun. Are you going to take off the rivets? 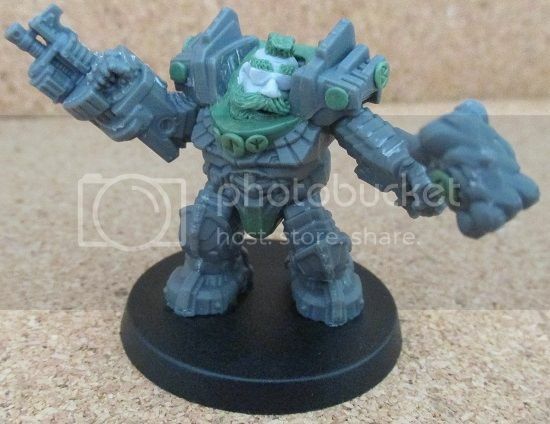 Might suit the sentinel better then? 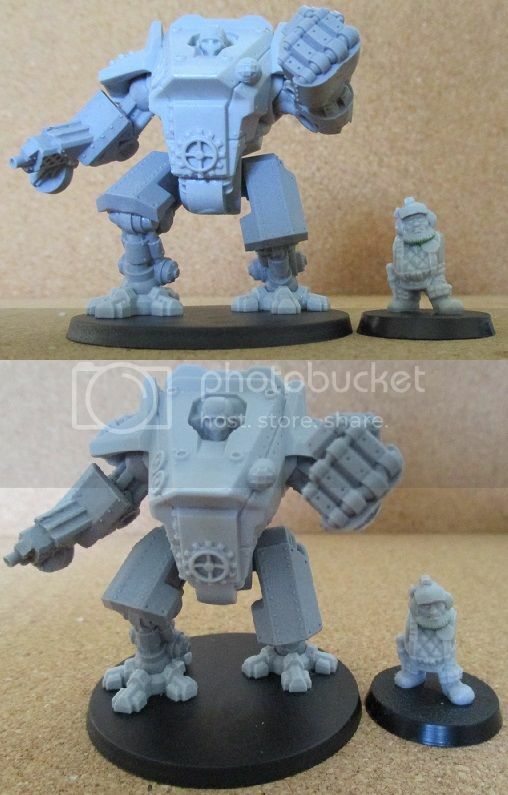 I'm still waiting (patiently) for two walkers from the trollforged kickstarter. They look quite cool. I only have minimal tidying to do and they are finished . 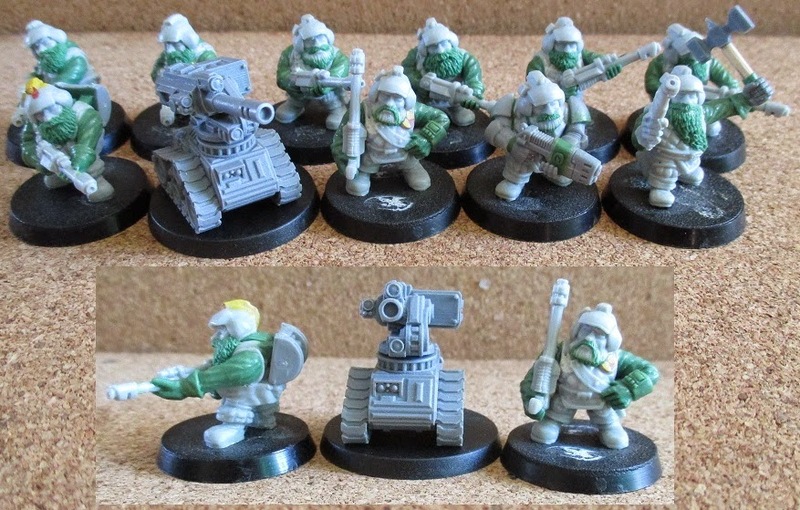 I prefer those to the Votoms kits. Here are some pics of a 3d print. Cheers... but as a true fan of the VOTOMs armour, we will have to agree to disagree on that front (my future plan is to build a Grymn version of a VOTOMs army... I will be converting and casting VOTOMs suits in a relatively small scale [1/60] and mass producing them... not yet though... later in life). That walker looks very impressive but WOAH is it big !? 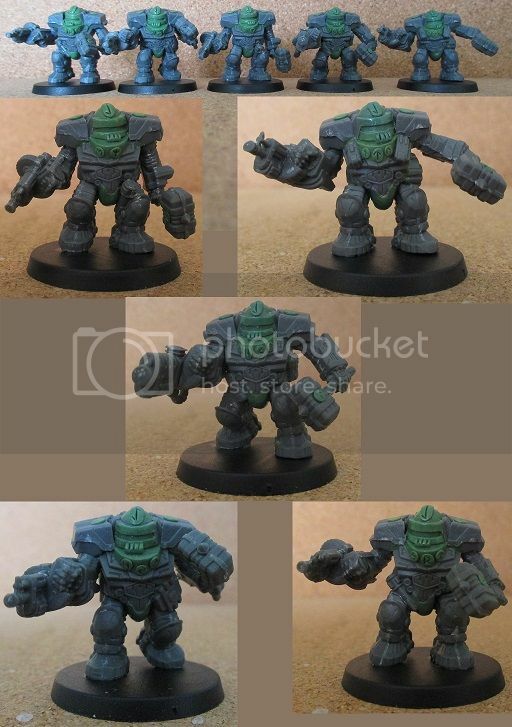 That would have to be a proxy Knight or something in a GW army. Loving the mo. That is both moustache and Mohawk. Army is shaping up nicely.